AXPONA Expo 2019, Chicago, IL, April 9, 2019 – Lenbrook International, developer of hi-res audio solutions for residential and commercial applications, has announced nugs.net as the latest music service integration for its award-winning BluOS high resolution distributed audio and music management platform. nugs.net gives audiophiles and live music enthusiasts access to over 30,000 hours of live concert recordings from artists like Pearl Jam, Metallica, Bruce Springsteen, Jeff Beck, George Cole Quintet, and dozens more. The integration is part of the upcoming BluOS 3.4 software update, which BluOS users will be prompted to download on or around April 16, 2019. 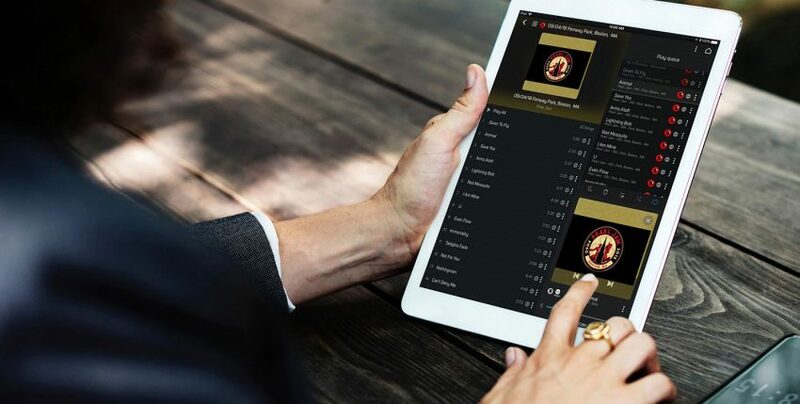 According to Brad Serling, CEO of nugs.net, subscribers to the hi-fi tier of service will gain access to live concert recordings in lossless FLAC, with approximately 1/3 of the hi-fi catalog available in MQA® 24-bit studio master quality. nugs.net will be on demonstration by BluOS hardware partners NAD Electronics and Bluesound at the AXPONA Expo, April 12 to 14, 2019, Renaissance Schaumburg Hotel and Convention Center in Chicago, IL. Visitors to Holm Audio suite #726 and Saturday Audio Exchange suite #306 will have the opportunity to listen to nugs.net content on some of the latest products from NAD Electronics and Bluesound, as well as take advantage of a special show promotion for a 90-day free trial of nugs.net. nugs.net is live music on demand. With a growing collection of over 15,000 full-length concert recordings from legendary road warriors like Metallica, Pearl Jam, Phish, Widespread Panic, Umphrey’s McGee, and Dead & Company, you will never run out of live music to explore. It’s available on your desktop, iOS or Android. The nugs.net hi-fi service offers CD-Quality Lossless and Hi-Res MQA streaming for our audiophile fans.